Today we are discussing about RESTful web services penetration testing, web services are the technologies used for data transmission between client and server in real time, according to W3C web services glossary a web service is a software system designed to support interoperable machine-to-machine interaction over a network, or we can simply term it as connection between client and server or between two applications for data transmission. Majorly two types of services used in the development environment REST and SOAP with content formats of JSON, XML, plain text, JPEG, PDF etc. SQL Injections are the attacks where a malicious user injects a code to break the defined SQL query to fetch data from the database. 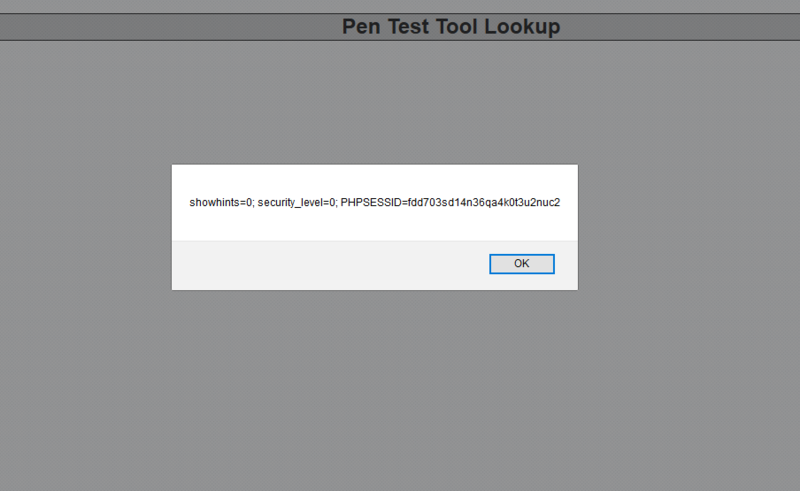 In REST services SQL Injection is one of the major test-case which is executed on the user-controlled variables or entry points, many times this vulnerability can be confirmed by blind SQL injection type. In below figure the username parameter is injected with encoded SQL query to fetch the user details which can be seen in the response. Below screen-shot shows the response of the same request in the browser to see the all user details in the application. Cross Site Scripting vulnerability arises when an attacker entered input is rendered in the browser in an unsafe manner, even-though this vulnerability is very less seen in REST web services still the parameters which are handling with the string data type is the suitable entry point, in below figure it can be seen that the Tool-ID parameter is injected with payload and its rendering is seen in the immediate response, using this vulnerability an attacker can do virtual defacement or cookie stealing etc on the application. The response requested in the browser to know the rendering of the injected code, can be seen in below figure. Cross-site request forgery is an attack where an attacker sends the request to server pretending to be a user to perform operations in the application this attack arises when application solely depends on the cookies to validate the user on the server side. In JSON services we can perform this attack by using the request, below shown a sample request of JSON. This request will fetch the user details by executing the cross-site request. In REST service based application an attacker can have a possibilities to enumerate username, Forgot Password or User Login functionality are the suitable entry points to execute this type of attack, most of the application uses default usernames for the operations like Admin, Customer care, userXXX etc or admin@companyname.com, customercare@companyname.com, userXXX@companyname.com etc. The basic application level reconnaissance or walkthrough can give a hint to perform this type of attack. 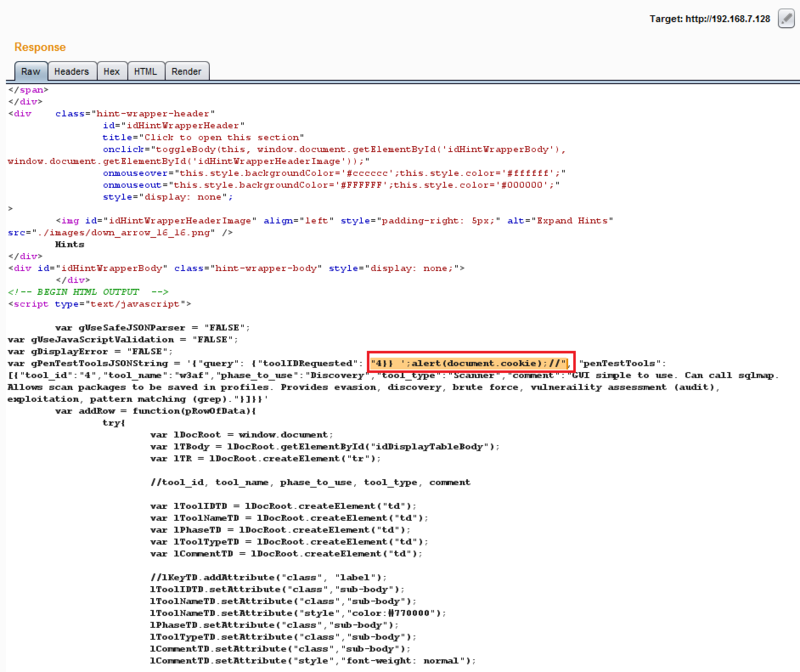 In the above request, it can be seen that the application accepts the XML content type for which an attacker can form the payload as shown below. If the XML parses the request then the attack gets executed with a response of the password file information. Brute Force is also one of the attack types which can be executed on vulnerable REST application, many times Login Page in the application is vulnerable to this type of attack and the attack involves with the guessing of username and passwords using wordlists. Hardening of REST web services involves the securing the application for the attacks below mentioned the some of best practices to secure the application. The Authentication mechanism in the REST services includes the Basic and Digest, these two types of authentication has their own limitation which designer must be aware of before implementing and must have a proper server-side validation of user for application operations. HTTP Methods must be implemented with a proper session token or API Key to perform the operation on the server end. Different HTTP methods like GET, POST, PUT and DELETE are validated before it advances to the server. For Cross-Site Request Forgery attacks application must be implemented with a unique token or using of X-CSRF-Guard Header is the best practice, and for Insecure Direct Object Reference attacks, primary key and foreign keys are checked properly before executing the request. Using of Secure parsing methodologies for the XML based inputs in the application to avoid the attacks like XML External Entity injection. While using HTTP Methods POST and PUT validate the content type of the request on the server side. Validate the different response types like application/json, application/xml in the content type header. Use Framework provided validation for the application many frameworks provide automatic validation such as Jersey etc. JSON encoding preferred for the user-supplied data to prevent the arbitrary remote code execution and other attack types this can be done by using the JSON serializer. XML encoding is another type of mechanism used to check the XML content sent to the browser is parse-able and does not contain XML injection. Using of security headers is encouraged. HTTP defines the status code in every response in REST application do not use only 200 for success and 404 for error, there is a list of codes defined for HTTP using of these in REST API is enforced. 201 Created – Resource created. 202 Accepted – Accepted for processing. 400 Bad Request – Malformed request having a message body format error. 401 Unauthorized – Wrong or no Authentication. 405 Method Not Allowed – Unexpected HTTP method. The Transport Layer Security (TLS) is properly implemented to avoid the network level attacks. Web application must be secured with encryption methodologies in storing and accessing the data. Prakash Dhatti, is an information security enthusiast working as information security consultant @ISECURION and interested in the application and network security. Great Write-Up Prakash, Keep it up!!! Great Writeup Prakash, keep it up!!! Thanks for this insightful blog. What is you opinion on testing RESTful APIs using owasp/zap2docker-weekly zap-api-scan.py script? I’ve been following you since you’ve started your blog.This is top notch information and I’m really happy to connect with your great work. Superb information from this article and I have to tell you, your blog giving the best and useful information. Really interesting and original examples. Very well done!